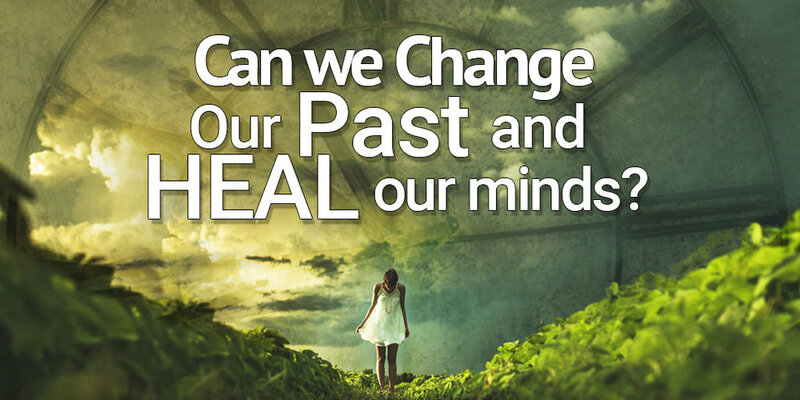 Can a person change their past? What painful experience is in your past that you still remember? Emotional hurt from a family member? Five years ago I was riding my bicycle to work when a truck pulled out of a driveway and hit me broadside. Besides the shock of being hit, the only serious injury I incurred was a displaced little finger. Thankfully my helmet did its job and protected my head. The police officer on the scene asked if she could keep my helmet so she could use it as a visual aid when teaching bicycle safety. I still have memories of watching that white truck plow into my right side. I remember hitting my head on the pavement and the trip to the ER. I suppose I could have concluded that all motorists are not observant of cyclists and that I should be fearful of riding on the road from now on. I could have allowed that experience to limit my present and future activities. How can I change my past, something that has already happened? Why does the past matter? Can’t I just work on forgetting the past? What is worth keeping about the past? The memory, whether bliss or trauma, will stay with us. We will always have the story that seems to run on a loop of what has happened to us. We think we are destined, haunted or even condemned to be a certain way because of what has happened to us in the past. Some would tell us that we are only the sum of our experiences. They would say that everything that happens to us is just tire tracks in our mind, keeping us in a rut to live out our past over and over again with limited options. But, Romans 12:2 states “we can be transformed by renewing our mind.” We can be changed by thinking differently about our experiences. Our cognitive framing, our interpretation, and the language we use to frame our past can actually allow us to change those experiences. The story we believe about what has happened to us can change what has happened to us. Neurological research has recently discovered something the Bible told us a long time ago; that the cognitive framing we give to experiences can actually change our physiological response to those very experiences. The effect of our past can be changed by what we believe about our past. The ruts in our brain can be smoothed over, allowing us to take a different route. Obviously, we don’t ever change the past, but we can believe and therefore talk about the past differently, which can give us the power to actually change our experience of the past. I can’t change the fact that a truck hit me but I can change what I believe about that incident. I can choose to believe that not ALL motorists are unaware, but some are and I can learn to ride more defensively. I can also believe that my safety is still within my control and, I will ALWAYS wear a helmet. I can reframe the effect of my bike accident by the way I believe and talk about it. In renewing our mind and who we are and what we’re doing and everything that happens to us even when it hurts (and even when we are hit on a bicycle), has now rendered us a stronger being. We can choose the story we tell and, yes, we can change the story of our past provided we are willing to do so! Click here for an example of "renewing your mind".